Broccoli raab or as Italians call it cima di rapa is grown in the spring and the fall specifically for its flower buds. It grows quickly. In fact one variety is named Quarantina, meaning forty days in Italian, for its speedy production of deliciously pungent, tender flower buds. Until I saw them labeled this way in the Portland Farmer’s market last April, I’d simply called them flower buds or tops but raab works too. Whatever you call them, the important thing is to enjoy the short-lived treat these raab relatives provide this time of year. 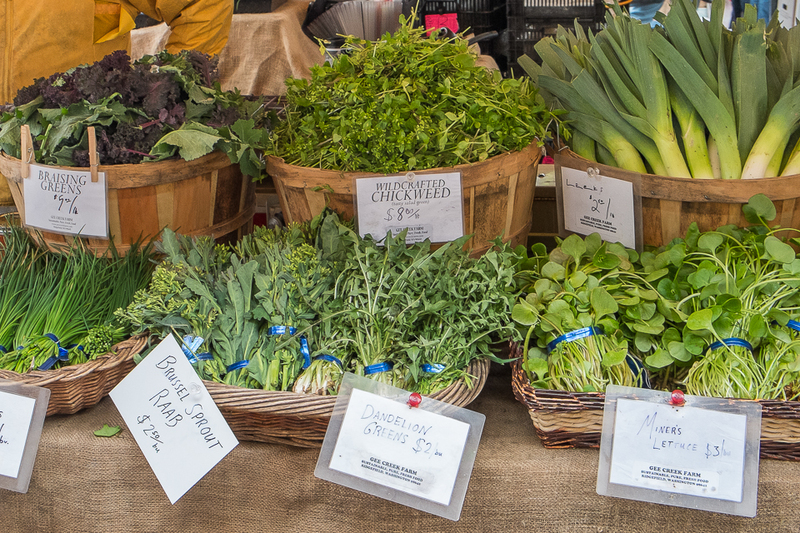 Harvest them from the your winter garden or look for them at farmers’ markets. For me they signal the welcome arrival of spring food. 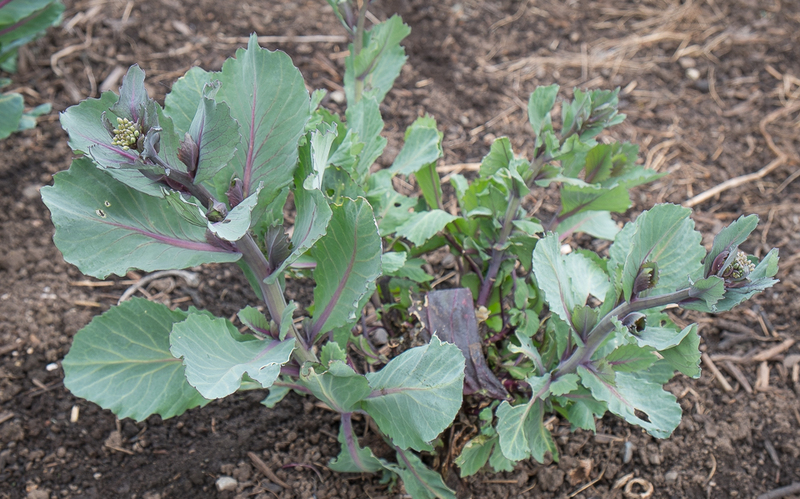 One of the first raab relatives to produce flower buds in my kitchen garden this year were three red cabbage plants that sent out gorgeous purple veined blue-green leaves and buds from the base below the long-since-harvested cabbage head. Matching this purple and green palate were spears of asparagus, a perfect earthy compliment to these sweeter cabbage buds. I harvested some of each to create a lovely still life on the kitchen island. 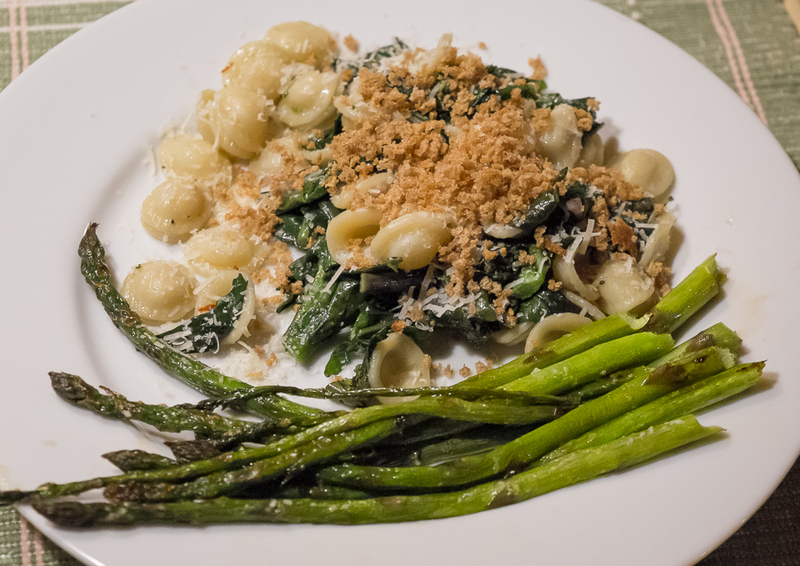 After admiring it, we roasted the asparagus and sautéed the red cabbage raab in olive oil, garlic and red pepper flakes and served it on pasta topped with toasted breadcrumbs and grated Parmesan cheese, a perfect meal to welcome spring. For yet more delicious meals Brussels sprouts stalks are sending out tender yellow green flower heads and kale flower buds will be ready soon. Spring is here! Welcome raab season! 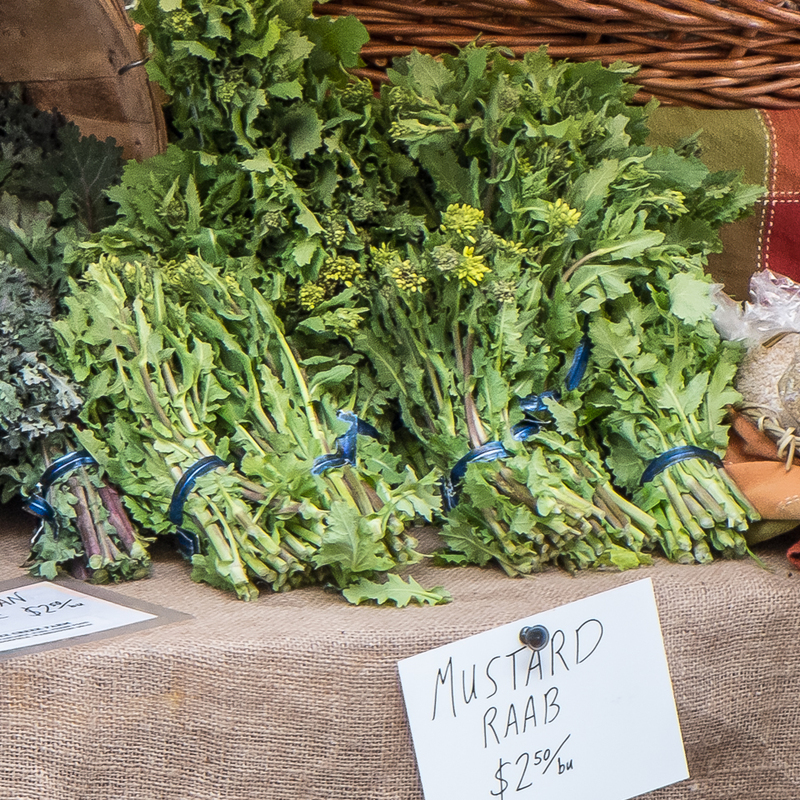 This entry was posted in Spring Vegetables and tagged recipes for raab, what are Brussels sprouts raab, What is broccoli raab, What is kale raab, What is mustard raab, What is raab by Lopez Island Kitchen Gardens. Bookmark the permalink. I love how you’ve teased out a few more offerings from your winter brassicas! I’m not so lucky since our Colorado Front Range winters can be cold and ruthless for plants, but usually some of my wild rocket starts to peek out early. 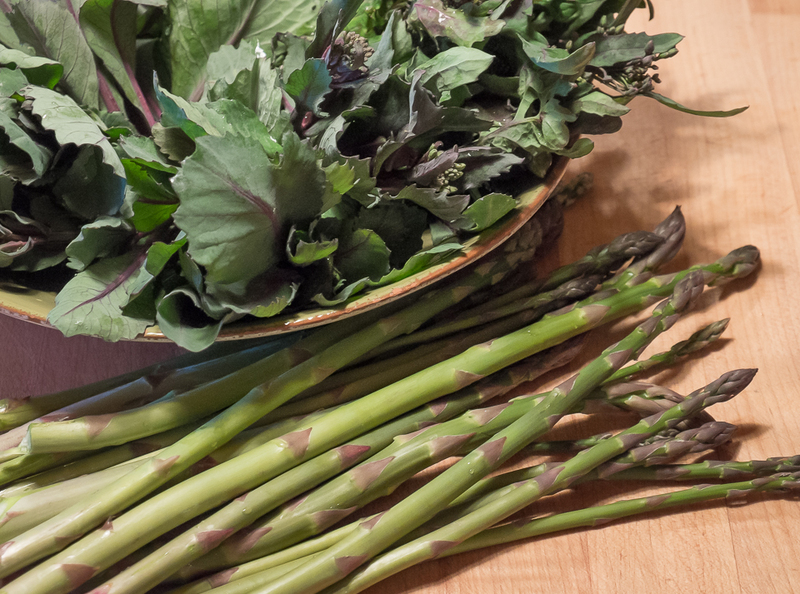 I already have a few spear of asparagus because March was so warm and snowless, but not necessarily a good thing here!